“Global Pharmaceutical Survey 2013-2014: Market Trends, Buyer Spend and Procurement Strategies in the Global Pharmaceutical Industry” is a new report by ICD Research that analyzes how pharmaceutical industry companies' procurement expenditures, business strategies, and practices are set to change in 2013-2014. Additionally, this report also presents comparative analysis between four years of survey results (wherever applicable). This report gives access to category-level spending outlooks, budgets, supplier selection criteria, business challenges, and investment opportunities of leading purchase decision makers. The report also identifies the future growth of buyers and suppliers, MandA, capital expenditure, staff hiring, and e-procurement. This report not only grants access to the opinions and strategies of business decision makers and competitors, but also examines their actions surrounding business priorities, as well as access to information categorized by region, company type, and size. This report is the result of an extensive survey drawn from ICD Research's exclusive panel of leading global pharmaceutical industry executives; it provides data and analysis on buyer expenditure, procurement, and developments within the global pharmaceutical industry. The report includes key topics such as global pharmaceutical industry buyer expenditure and procurement behaviours and strategies, and identifies the threats and opportunities within the global pharmaceutical industry, economic outlook trends, and business confidence within global pharmaceutical executives. Most secondary research reports are based on general industry drivers and do not understand the industry executives' attitude and changing behaviours, creating a gap in presenting the business outlook of the industry; in an effort to bridge this gap, ICD Research created this primary-research based report by gathering the opinions of multiple stakeholders in the value-chain of the global pharmaceutical industry. Executives from the global pharmaceutical industry anticipate an increase in levels of consolidation, with 61% of respondents projecting an increase in MandA activities in 2013. The need for new product pipelines, new product acquisition, patent expiries, cost containment and credit availability have prompted companies to consolidate positions and look for merger and MandA acquisition. This report is the result of an extensive survey drawn from ICD Research's exclusive panel of leading global pharmaceutical industry executives; it provides data and analysis on buyer expenditure, procurement, and developments within the global pharmaceutical industry. The report includes key topics such as global pharmaceutical industry buyer expenditure and procurement behaviours and strategies, and identifies the threats and opportunities within the global pharmaceutical industry, economic outlook trends, and business confidence within global pharmaceutical industry executives. Additionally, this report also presents comparative analysis between four years of survey results (wherever applicable). China, Brazil and India are the important emerging markets to offer growth in 2013. 'Market uncertainty', 'responding to price pressure', 'rising competition' and 'regulatory changes' are the leading business concerns for the global pharmaceutical industry in 2013. Overall, for 2013, the average size of the annual procurement budget for global pharmaceutical industry buyer respondents is projected at US$127 million, against US$127 million in 2012 and US$110 million in 2011. 'Price', 'level of service' and 'existing relationship with supplier' are considered the most important factors for supplier selection in the global pharmaceutical industry, while 'environmental records and CSR', 'brand reputation' and 'proximity of supplier operations' are considered the least important. An analysis of revenue growth expectations by senior level respondents reveals that 62% are 'more optimistic' about their company's revenue growth in 2013. A significant percentage of pharmaceutical manufacturing industry respondents highlighted that capital expenditure towards 'new product development', 'employee training', and 'IT infrastructure development' would increase in 2013. The top three priorities for global pharmaceutical industry buyer respondents in 2013 are 'new products and services', 'improve operational efficiency' and 'expand in current markets'. 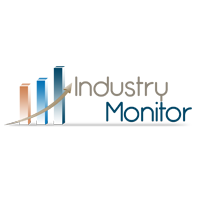 A total of 49% of respondents from pharmaceutical manufacturing companies, 68% of respondents from CROs and CMOs companies, and 64% of respondents from pharmaceutical industry supplier companies anticipate an increase of their current workforce in 2013. Survey results show that respondents from the global pharmaceutical industry identified the US to offer the highest growth potential among developed countries in 2013-2014.